Ask the Husband what his favorite things in the world are and guaranteed two of the things he mentions are craft beer and chicken wings (so Buffalonian, I know). 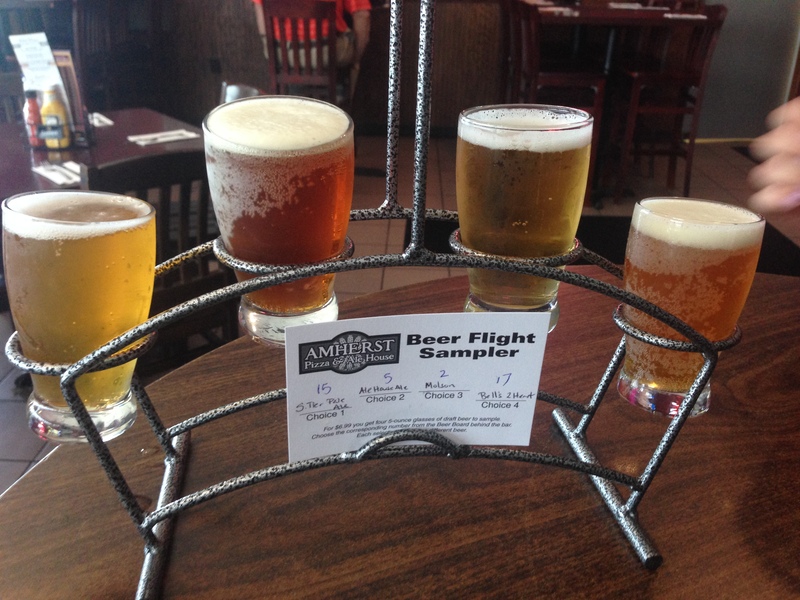 So the last time we were in Buffalo we made a special trip to Amherst Ale House. I knew I wasn’t going to eat, since my special place is Swiston’s Beef and Keg, but I was still excited to try one of their famous wings. I knew they were a legit Buffalo experience as soon as we pulled up in the parking lot. I saw an anti-Bon Jovi sign and I knew I was home. 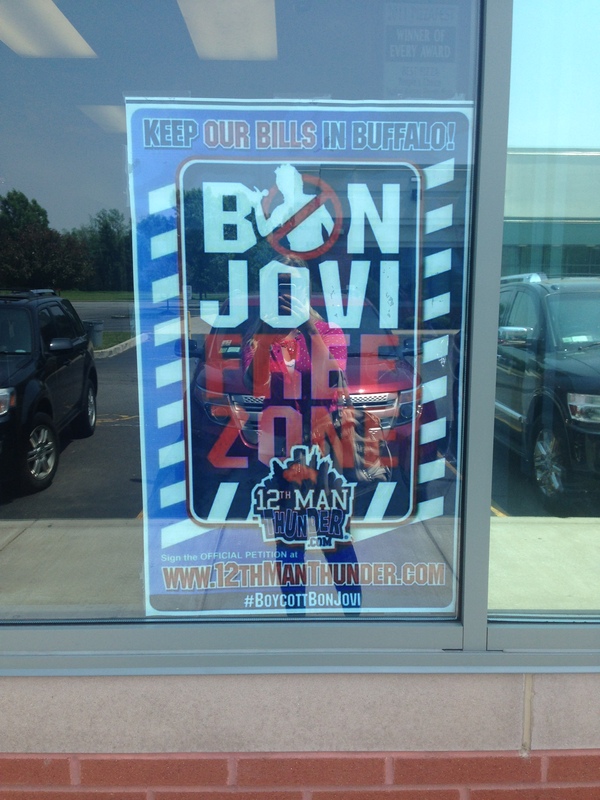 Bon Jovi wanted to buy our beloved Buffalo Bills and most likely move them to Toronto, which would send 90% of Buffalo in a deep spiral of depression. Luckily Terry Pegula stepped up and saved our city, and our sanity. Amherst Ale House is so involved in WNY sports that they have a hockey night, every time the Sabres play. You can order a medium pizza or a pitcher of Molson Canadian or Coors Light at half the price. They plan on offering this special until the Sabres win the Stanley Cup. Which will definitely not be this year, s0 enjoy the deal Buffalo. We were there before the hockey season started, so the Husband got a flight of local craft beers, instead of a pitcher of Molson. Now that’s my kind of rainbow! 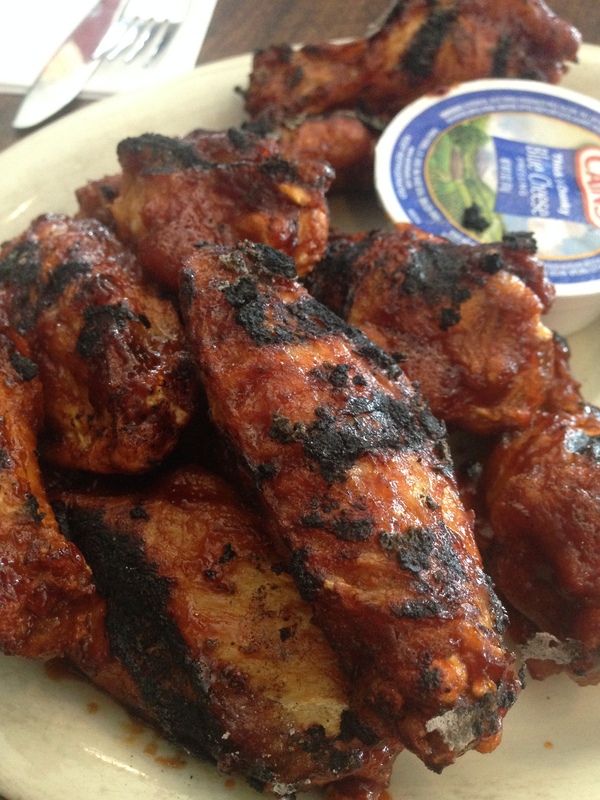 And since they are known for their Char-pit Crown Royal BBQ wings, we decided we better order some. I’m so glad we did! I don’t generally love chicken wings (yea, yea, I know) but holy smoke show, these were delicious! I mean, how amazing do these look?! 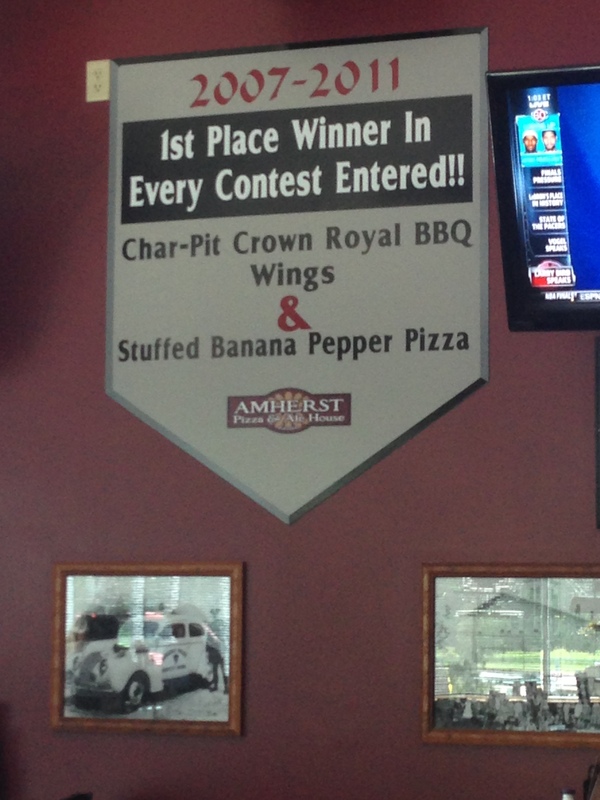 So of course Anchor Bar and Duffs are know for their wings, but Amherst Ale House really gives them a run for their money. Do yourself a favor and head here the next time you’re in Western New York.